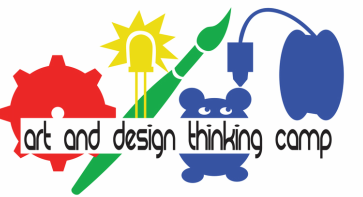 The Summer Art & Design Thinking Camp is an adventure in making and imagining. This project-based camp engages middle school youth in exploring design thinking processes, digital tools, and visual arts. Campers work individually and collaboratively as they experience art in a very engaging, dynamic, and innovative way. Each week has a different theme and the camp day is divided into two parts - Focused Learning and Tinker Time. Explorations are tied to developing skills while also allowing campers to develop their artistry, encouraging them to think outside the box and follow their ideas in whatever direction they want. The journey takes campers from what they know best (themselves) and moves outward to their families, their local community, and beyond with a focus on art and culture. All projects are designed to stimulate creativity and enhance their artistic confidence, while also maintaining/improving academic skills. Each is celebrated with a Student Showcase where campers can share their projects, process and journeys with guests. "I can't wait to come back next year!" AREF Art & Design Thinking Camp Video for Take pART from Corinne Takara on Vimeo. Click the registration link to register your child. You must complete a separate form for each child enrolled. a Cultural Affairs grant from the City of San José, A Safe summer initiative grant (ssig) from the city of san JOSÉ, a grant from the latino community foundation - Cisco giving circle, and individual DONORS.